The index opened strong around the highs of the day at 8728 but profit booking saw the index dip to the lows of the day around 8638 but closed a tad higher at 8678.25, loss of 33.10 points. The broader market was negative with 611 advances to 987 declines. Range stays at 8500-9000. Call option 8700-9100 added 13.21 lacs OI with profit booking at 9200 and above strike prices. 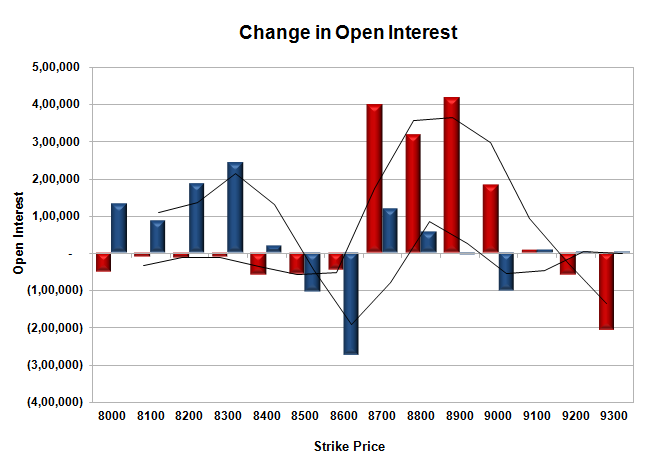 Put option 8700, 8400-8000 added 7.83 lacs OI with short covering at 8900 and above strike prices. 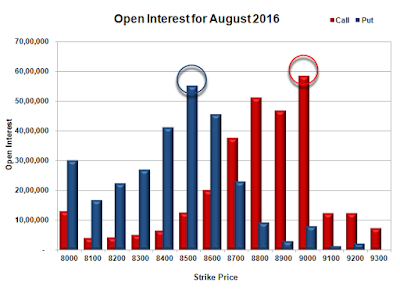 Nifty Open Interest is at 2,46,41,925 down by 29,250, with decrease in price, most probably long liquidation. 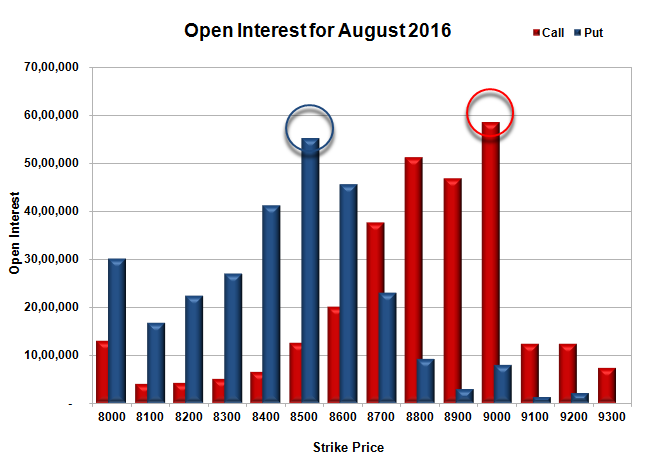 Bank Nifty Open Interest is at 19,54,720 up by 1,15,280, with no change in price, most probably long/short build-up. FII’s bought 2539 contracts of Index Futures, which includes net 5647 contracts long build-up and 3108 contracts short build-up, with increase in net OI by 8755 contracts, includes 24004 longs to 21465 shorts for the day. FII’s Index future open contract as on date is 296983 Longs to 42673 Shorts, Net long 254310 contracts. Initial support stays at 8600, with OI of 45.49 lacs and below that at 8500 with OI of 55.20 lacs. Initial resistance at 8700, with OI of 37.66 lacs and above that at 8800 with OI of 51.27 lacs. 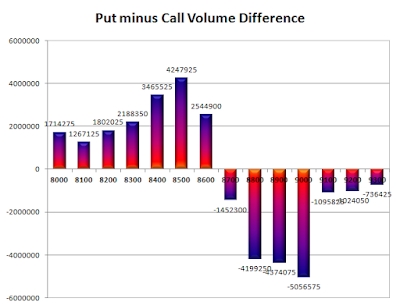 Day Range as per Option Table is 8619 - 8743 and as per VIX is 8612 - 8745 with 8682 as the Pivot.